With premium products sold in around 140 countries, Sharp aims to provide cutting edge appliances designed to ‘make people’s lives richer and their work more efficient’. From purifiers to cash registers, the global brand offers a wide selection of items to suit your home and business needs. Some of the products available include microwaves, kettles, toasters, calculators and printers. For the kitchen, Sharp provides several top mount and French Door refrigerators to suit different types of households. If you’re looking for an attractive appliance to complement your new kitchen, the glass finish on models such as the Sharp SJXP580GBK top mount fridge may be ideal. 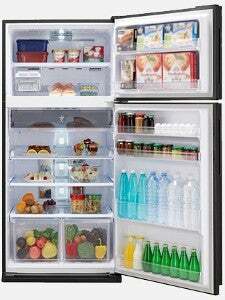 Big families and growing households might also be able to find something from Sharp’s shelves, especially with models like the Sharp SJFJ676VWH French Door fridge containing 4-doors and 676L worth of customisable space. With an elegant frameless glass finish, the Sharp SJXP580GBK may be an ideal fridge for style conscious shoppers. The premium top mount model has a 581L total capacity and a 3.5 energy star rating. Sharp claims this top mount fridge is suitable for people wanting an easy to maintain model. And compared to refrigerators with a steel finish, the black glass doors on the SJXP580GBK are stated to be more resistant towards scratches and dents. If you’re concerned about energy-efficiency, the model includes an ECO mode said to consume less power. The fridge also comes with a J-Tech Inverter, which apparently allows the appliance to save energy as well as cool food and drinks quicker. The inverter is similarly said to increase the durability of the compressor by minimising the wear and tear on the compressor, as well as reduce levels of noise and vibration. Advanced LED Control Panel: allows you to access the different functions for modes such as ‘energy saving’, ‘Plasmacluster Ion’, ‘extra cool’, ‘express freezing’ and ‘temperature control’. The Sharp SJXP580GBK top mount fridge has a 405L refrigerator capacity and a 176L freezer capacity. The Sharp SJXP580GSL is alternatively available and features silver glass doors. If you’re looking for a refrigerator that can keep a large amount of food and drinks fresh, the 676L Sharp SJFJ676VWH might be the ideal model for you. Unlike some of the other options in the brand’s range, this model contains the Ag+ Nano Deodoriser. This is said help remove any bad smells and maintain freshness for longer by trapping odour molecules every time air goes through the filter. The model also includes Hybrid Cooling, which is also featured in many of Sharp’s fridge collection. In addition to the egg tray and the fruit and vegetable compartment, this 4 door refrigerator is said to come with 3 wide tempered glass shelves and 7 large door pockets. 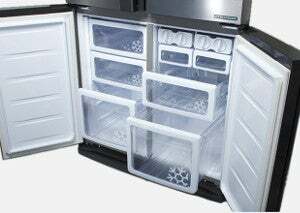 While the fridge has 424L worth of space, the 2-door bottom freezer compartment has a 252L capacity and provides five draw-type cases for storage. The Sharp SJFJ676VWH refrigerator has a 2.5 energy star rating. The 624L Sharp SJXE624FSL French Door refrigerator is made with high gloss steel and comes with 5 door pockets and 3 tempered glass shelves. It has a 372L fridge capacity and 252L freezer capacity. Similarly to the Sharp SJFJ676VWH, the 624L Sharp SJXE624FSL includes the AG CU Nano Deodoriser which is said to kill bacteria and bad odour in cold air channels. It is also claimed to keep the air clean and bacteria-free, and prevent the smell of different items from spreading with other contents. Like many of the other products in the range, the Sharp SJXE624FSL features J-Tech Inverter Technology. In this model, the Japanese technology is stated to minimise energy consumption, reduce noise level, freeze items quicker and maintain consistent temperature. The J-Tech Inverter also powers functions like the Extra Cool mode, which is said to cool food and drink at 0-2°C without freezing it. It also powers the Express Freeze feature which is said to provide ice 35% faster than conventional refrigerators. The model has a 3 energy star rating. 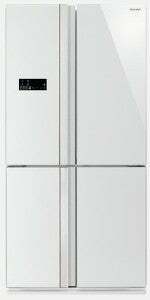 It has 372L fridge space and 252L freezer capacity. Should I buy a Sharp fridge? There’s nothing cool about trying to find ‘cold spots’ in your fridge because your current model doesn’t distribute the cold air evenly. And storing food and drink shouldn’t feel like a game of Tetris just because there isn’t enough space to fit everything you need. If you’re shopping for a big family or just want a refrigerator with plenty of space, the brand’s range of French Door refrigerators like the 676L Sharp SJFJ676VWH and 624L SJXE624FSL offer the most room in the collection. Other models like the SJXP580GBK and SJXP580GSL are apparently a suitable option for anyone shopping for something that’s easy to clean and maintain due to the black glass doors. These types of refrigerators are said to be more resistant to scratches and dents than products like the Sharp SJXE624FSL which have a steel finish. Many of the models also come with a J-Tech Inverter, which might be an ideal factor for people looking for a long-term solution. This is said to ensure longevity by reducing the wear and tear on the compressor, as well provide other benefits like reduced noise levels and vibration. 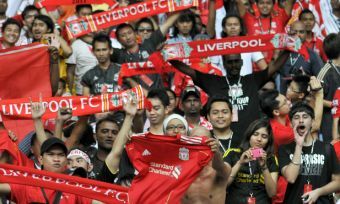 Still can’t find what you’re looking for? Keep your cool and visit the Canstar Blue fridge ratings to compare a range of brands on customer satisfaction.